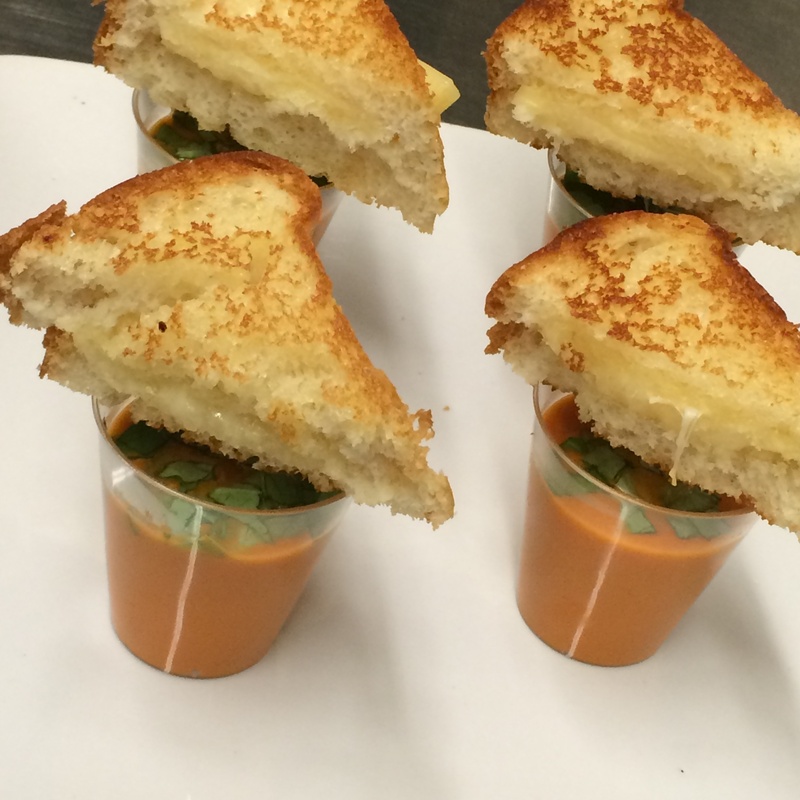 Ultimate grilled cheese sandwiches are what’s on the menu today to celebrate National Grilled Cheese Day! The traditional grilled cheese sandwich is a childhood staple, usually alongside a bowl of warm tomato soup. 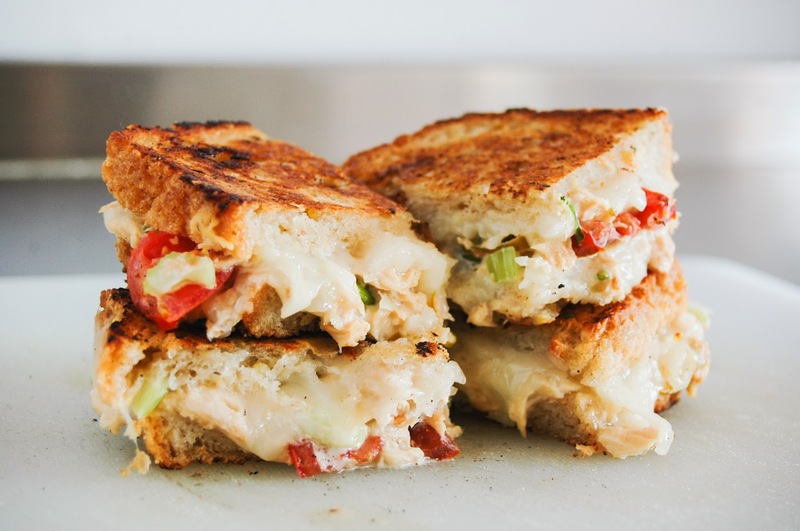 But now we’re adults, and adults need some serious, gourmet grilled cheese sandwiches! Inspired by Paradise Bakery’s Ham and Brie Panini, this combines thinly sliced ham with thick helpings of Brie cheese and thinly sliced Granny Smith apples to lend a bit of sweet and tart to your grilled cheese. Combine mozzarella with pizza sauce to create a quick, imitation cheese pizza sandwich. Mix it up and add your favorite pizza toppings to your sandwich such as sausage, green peppers, black olives, ham and pineapple, or just plain old pepperoni. Make your favorite macaroni and cheese recipe and get that bacon sizzling. Place a heaping serving of mac & cheese between two sliced of bread, layer some bacon in there and grill away. Give it a little spice and add a dash or two of hot sauce like Tabasco or Frank’s RedHot. Chanel a taste of Paris with this French Onion Soup inspired grilled cheese. Caramelize onions in a skillet then place a serving between two slices of Gruyere and thickly sliced french bread. Not a fan of onions? Replace them with sautéed mushrooms. Slice and de-seed jalapeños, layer the slices between bread that has cream cheese spread on one side and a slice of cheddar or colby jack cheese on the other side. Take shredded chicken and mix with Frank’s RedHot Sauce to your desired level of heat. Grill between bread with a hearty serving of blue cheese or a blue cheese dressing. If you want some crunch in your sandwich, add diced celery. Recreate the classic Italian salad but between toasty bread. Slice thick pieces of freshly made mozzarella and tomato and layer it between crunchy artisan bread with fresh basil. Drizzle your ultimate grilled cheese sandwich with balsamic vinaigrette. Take your leftovers from yesterday’s dinner and recreate it in sandwich form. Our favorites include thick sliced turkey, stuffing, and cranberry sauce with several slices of havarti or swiss cheese. Or, take what’s left of Sunday’s pot roast and layer shredded roast with roasted potato slices, tomato, mayo and gruyere or havarti cheese. Take thick slices of Brie cheese or cream cheese and layer it atop one slice of bread heavily spread with Nutella chocolate hazelnut spread. Add in some strawberries, bananas, or any other fruit you so desire and grill till warm and melty. Got any unique grilled cheese recipes of your own? Share them with us in the comments or get creative in the kitchen today and let us know how it goes!